Salma Vives was born in Elche near Alicante in 1983 and started learning the cello at seven. She started her musical studies at the conservatoire in Elche, later continuing her studies in the conservatoire of Granada. She has played in many different orchestras and chamber ensembles, including those specializing in ancient music. Her interest in ancient music and oriental music led her to take up the lute, her second instrument. She gained experience playing the lute in a group called Nakhla dedicated to the interpretation of Arabic, Andalusi and traditional Spanish folk music. She also plays in groups of flamenco music and has collaborated with some well-known flamenco artists, such as the guitarist Fraskito. She also plays with the multi-instrumentalist and composer, Ignacio Bejar in the group El Sombrero del Alquimista. 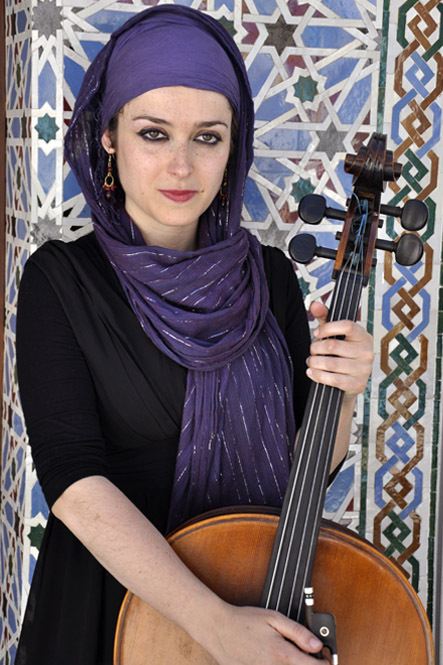 She was one of the founding members of the group Al Kauthar, in which she contributed both as a performer and arranger, recording on their CD, Ruh with both cello and lute. She has been with Al Firdaus Ensemble since its initiation in 2012, performing with them in concerts and festivals in Europe, North Africa, Turkey, Lebanon, the U.S., Canada and Malaysia. She has recorded on their CDs Safa, released in 2014, and Nur released in 2017 contributing as cellist and arranger.